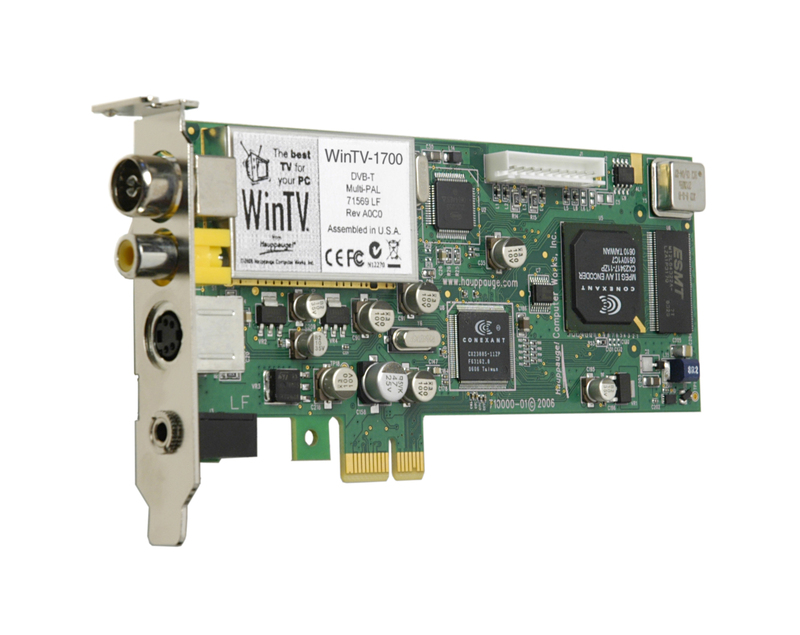 The Hauppauge WinTV-HVR-1700 is a hybrid analog and DVB-T PCIe card with a hardware MPEG2 encoder. The board works in digital mode only currently. will do. You may need to add an offset to your tansponder frequencies (+166KHz) in order to tune properly though. The MC-Kit edition comes with a typical Media Center USB IR receiver/blaster (SMK Manufacturing, Inc. eHome Infrared Receiver) and remote ( rc_keymaps: rc6_mce ) Take care to dont use a USB-3 port (USB-2.0/1.1 will do) ! In most recent distributions the remote will work out of the box. Now restart the lirc-daemon and run "irw". You should see any pressed key on the screen! This page was last modified on 21 June 2013, at 17:05. This page has been accessed 44,018 times.